Cranes on sandbar in the Platter River. 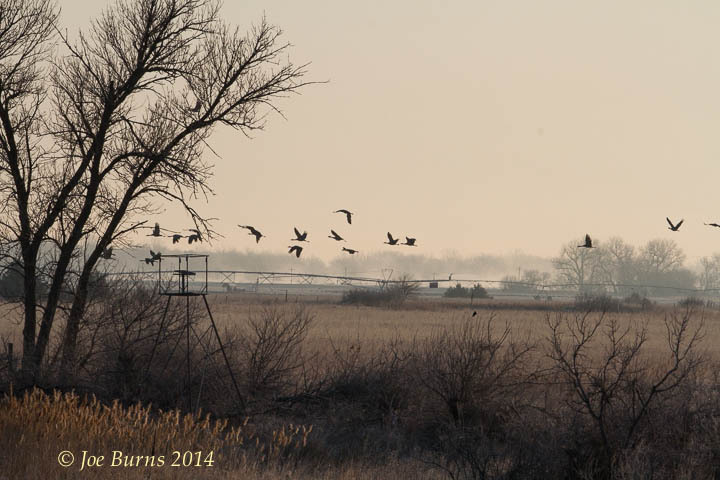 Before dawn I headed out to the Fort Kearney Hike and Bike Trail where it crosses the Platte. The snow and ice from Saturday combined with the vapor rising from the river to create a magical setting. What a fantastic way to top off my Nebraska Crane Festival weekend. 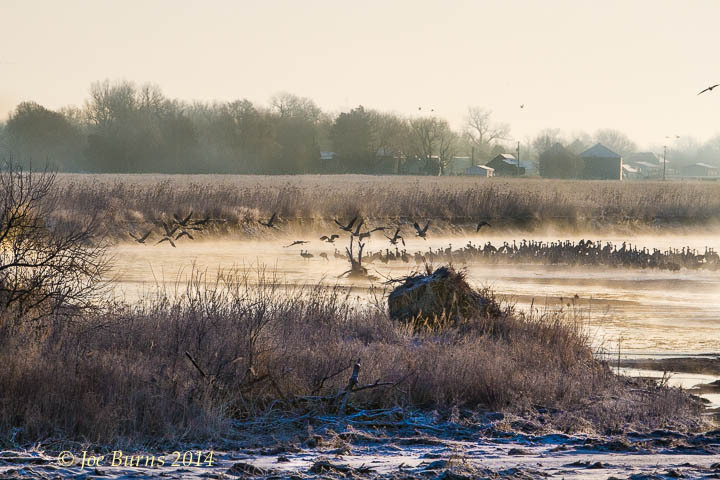 Sandhill cranes flying over fields near the Platte River.